Albert George Akins (June 13, 1921 – August 29, 1995) was a professional American football halfback and defensive back who played three seasons for the Cleveland Browns, Buffalo Bills and Brooklyn Dodgers in the All-America Football Conference. Akins was a native of Spokane, Washington and attended Washington State University and later the University of Washington, where he played football and basketball. He was a key member of a University of Washington team that lost the Rose Bowl Game in 1943 to the University of Southern California. Akins played for the Browns in 1946, and subsequently joined Buffalo and Brooklyn. He won an AAFC championship with the Browns, although he did not play in the championship game due to an injury. After his playing career, Akins became an assistant football coach at Lewis & Clark College in Portland, Oregon. He went on to become head coach of Southern Oregon University for 15 years starting in 1955. His coaching record at Southern Oregon was 71–62–3. Akins grew up in Spokane, Washington and attended John R. Rogers High School, where he played on the basketball team and ran track. His brothers Frank and Hal were also standouts as athletes. Akins lettered in basketball at Washington State College in 1940 and 1941, but did not play football. By the end of 1943, Akins had transferred to the University of Washington, where many Washington State players went to train in the U.S. Navy. He played football there, starring as a halfback for the Washington Huskies. He was also said to be a good passer. The 1943 team went undefeated and was heavily favored to beat the University of Southern California in the 1944 Rose Bowl. The USC Trojans won 29–0, however. Akins fumbled the ball in the third quarter, setting up one of the Trojans' touchdowns. Jim Hardy, the USC quarterback, said after the game that the team's "only real fear was that that fellow Al Akins might get loose on the runback of a punt for a touchdown." Akins also played basketball at the University of Washington in 1944, when he was a first-team All-PCC selection. That year, the Huskies basketball team won 20 games in a row and finished first in their conference. 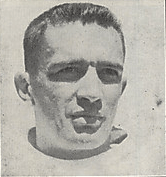 After returning from service in the Pacific in 1946, Akins signed to play for the Cleveland Browns, a team in the new All-America Football Conference (AAFC). He scored his only touchdown of the season on a 50-yard run in a game against the Buffalo Bisons. Cleveland defeated the AAFC's New York Yankees to win the league title that year. Akins, however, did not play in the title game because of an injury. He suffered a separated shoulder in a game against the Miami Seahawks. Akins played in 1947 for the AAFC's Brooklyn Dodgers. He played for the Buffalo Bills in 1948 when they faced the Browns in the AAFC championship game. Akins sat out because of an injury, and the Browns won the game. Akins took a job as an assistant coach at Lewis & Clark College in Portland, Oregon. He resigned in 1954 to seek a head coaching job, and got the top spot the following year at Southern Oregon University in Ashland, Oregon. He stayed in that job for 15 seasons until 1969. His teams' combined record was 71–62–3 during that span. He is first all-time among coaches at Southern Oregon in total wins and fifth in career winning percentage (.533). ↑ "South Siders Defeat North Central in Closing Game". Spokane Daily Chronicle. February 24, 1939. p. 10. Retrieved July 25, 2012. ↑ "Scarpelli, Competing in First 100-yard Dash of Season, Wins City Crown". Spokane Daily Chronicle. May 17, 1941. p. 8. Retrieved July 25, 2012. ↑ "Bob Ross Lost to Cougar Team". The Spokesman-Review. October 25, 1946. p. 20. Retrieved July 25, 2012. ↑ Jim Daves; Tom Porter; W. Thomas Porter (17 November 2000). The Glory of Washington: The People and Events That Shaped the Husky Athletic Tradition. Sports Publishing LLC. pp. 127–. ISBN 978-1-58261-221-8. ↑ "Rose bowl game strategy". The Milwaukee Journal. Associated Press. December 28, 1943. p. 2. Retrieved July 25, 2012. ↑ "Washington Swamps Commandos At Gonzaga in Game That Is Filled With Thrills and Action". The Spokesman-Review. Associated Press. October 10, 1943. p. 1. Retrieved July 25, 2012. ↑ "Trojans Drill For Bowl". The Palm Beach Post. Associated Press. December 23, 1943. p. 7. Retrieved July 25, 2012. 1 2 3 Frawley, Frank (January 2, 1944). "Trojans Upset Vaunted Huskies By 29-0 Edge". St. Petersburg Times. Associated Press. p. 19. Retrieved July 25, 2012. 1 2 "McMillan Hits 34 For Huskies". Eugene Register-Guard. Associated Press. March 2, 1944. p. 10. Retrieved July 25, 2012. ↑ Dietrich, John (August 8, 1946). "Greenwood Eyes Berth As Browns' Right Halfback". Cleveland Plain Dealer. Bowling Green, Ohio. p. 17. ↑ Piascik 2007, p. 57. ↑ "Browns Favored Over Grid Yanks". The Palm Beach Post. Associated Press. December 22, 1946. p. 13. Retrieved July 25, 2012. ↑ "Browns Play Yanks Sunday". Herald-Journal. Associated Press. December 21, 1946. p. 7. Retrieved July 25, 2012. ↑ "Colts Down Dodgers, 16-7". The News and Courier. INS. September 8, 1947. p. 7. Retrieved July 25, 2012. ↑ "Cards, Browns Favored To Retain Grid Crowns". The Evening Independent. Associated Press. December 18, 1948. p. 12. Retrieved July 25, 2012. 1 2 "Pioneers Assistant Seeks Another Job". Eugene Register-Guard. Portland. Associated Press. March 17, 1954. p. 2D. Retrieved August 21, 2012. 1 2 3 4 "Al Akins Records by Year". College Football Data Warehouse. Archived from the original on October 6, 2012. Retrieved August 21, 2012.